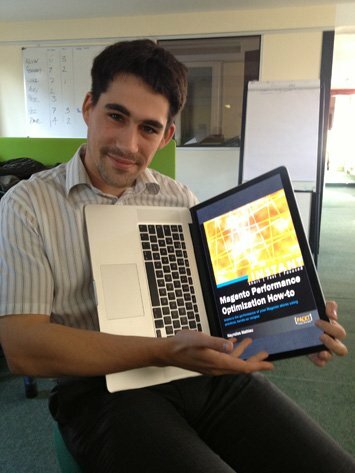 The Instant Magento Performance Optimisation How-To published by Packt and written by Nayrolls Mathieu is one of the few e-books that I won’t instantly delete from my computer. Normally the only e-book I read is located on a kindle and nothing to do with Magento. I can’t honestly think of why anyone would read a computer-based textbook on an e-book reader myself but each to their own I suppose. Anyway, I digress! The reason I am not going to delete this e-book is because it is pretty darn useful. Here at Creare we are always looking at ways to speed up our Magento-based projects. Many a late evening do we sit around a table poring over dedicated server magazines, researching .htaccess snippets and playing with the cache settings across all versions of Magento. There’s a wise old saying that “slow and steady wins the race”, this is true in pretty much all aspects of life apart from e-commerce conversions. In the e-commerce world “fast as f***” makes you money. Onto the e-book then, Magento Performance Optimisation How-To is a pretty big title and it’s only fitting that it’s meant for a pretty big brain. I would personally recommend this book to those who have good experience dealing with servers – as the main benefits associated with performance increase are almost always server related. Saying that, there are sections within this book that a half-decent developer should be able to implement without too much trouble – things like configuring the Magento installation to use cache / indexing is pretty much as simple as you can get. Although a few sections in this book may seem a little easy they are well worth being included, things such as removing the PayPal image could be thought of as being too simple but the follow up advice within the “There’s More” sections always tend to back-up the main principle – in this example cutting down on external URL requests. From a developers perspective I would haveÂ preferredÂ more code-based optimisation techniques rather than server-side changes but I can see why the author chose to focus on server configuration – the performance increases speak for themselves. Overall a good reference book for those who are always looking to speed up their websites, things to perform instantly on any Magento website and things to look at implementing when the time, and the server knowledge allow for it.